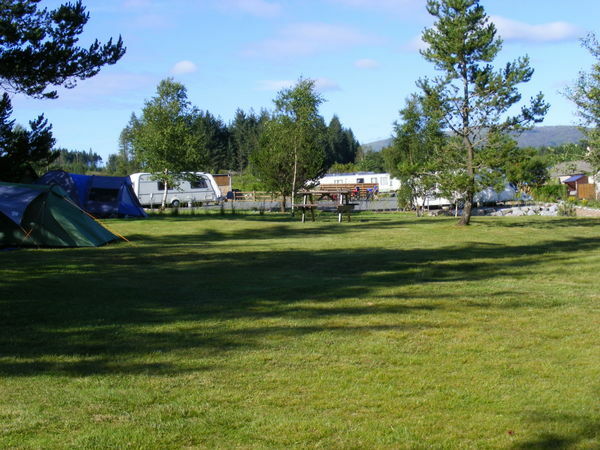 Glentrool Camping and Caravan Site's touring area has level hard-standing pitches for caravans and motor homes and an informal grassed area for tents. Please be aware that vehicles cannot be taken onto the grass. Showers and hot water are free of charge and there is no additional charge for dogs or awnings. This is a dog friendly site, but please be considerate and keep your dog on a lead whilst on site and clear up your dog's mess (we provide doggy poo bags free of charge). During peak holiday times and public holidays, booking is essential and advisable at all other times. Arrival time after 1 pm, departure time midday. Site Tariff per night (open 1st March - 31st October). Cards accepted but cash appreciated. No charge for dog, awnings or storage / pup tents.